As game updates go, "patch 3.1" is not the kind of title that's liable to set your imagination racing. Nonetheless, the next update to Final Fantasy XIV: Heavensward is a big one, with highlights including a new 24-player raid and a "real-time strategy attraction" that will pit players and their minions against one another in one-on-one battles. A preview trailer released today covers all the relevant points, and it's a big one too, clocking in at more than seven and a half minutes long. The patch will also add new content that will follow on directly after the main Heavensward storyline, publisher Square Enix said today. "Exploratory Missions" set in distant islands accessible by airship will offer the opportunity to score rare gear and items, and there's a pair of new high-level dungeons, Saint Mocianne's Arboretum and Pharos Sirius (Hard), plus beast tribe quests featuring Vanu Vanu and new sidestory quests. The update actually has a subtitle that's a little more stirring than simply "3.1," although it's almost willfully cryptic: Known in full as Final Fantasy XIV: Heavensward Patch 3.1: As Goes Light, So Goes Darkness, it will go live on November 10. 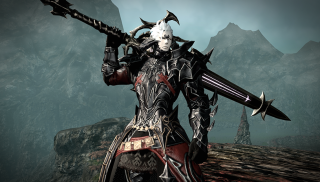 More info about what's coming can be found on the Final Fantasy XIV developers' blog.